Make light work of any mowing with the RYOBI 18V ONE+ 33cm lawn mower console. This electric mower takes all the hassle out of traditional mowing with a petrol-powered engine. Simply plug in an 18V ONE+ battery and push the light weight unit. The 35L catcher is perfect for any small to medium lawns. 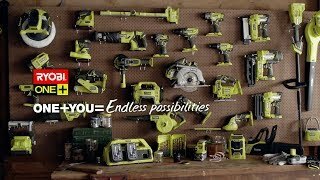 This handy addition to the RYOBI ONE+ range suits any batteries you already own for the ONE+ tool collection. You can now switch between tasks by unplugging your battery and attaching to the 33cm lawn mower console. No battling with messy starts, fuel or oil changes. Get your RYOBI 18V ONE+ 33cm lawn mower console from your local Bunnings Warehouse today.